Do Some Planning Before You Say, "I'm Going to Disney World!" Christmas at Disney World- See what the resort has planned for the 2015 holidays, including Mickey's Very Merry Christmas Party. Frozen Ever After- Read my preview of the Epcot attraction based on the hugely popular film. Rivers of Light and Nighttime Safaris- See the Florida Ride Guide to learn about the new developments at Disney's Animal Kingdom. Avatar land- Disney's Animal Kingdom will transport guests to the mythical world of Pandora. Discover what's in store, including a flight aboard a banshee. Disney World has exciting plans to build a massive Star Wars land on a 14-acre plot at Disney's Hollywood Studios. Also coming to the Studios park, probably around the same time that Star Wars will open, will be a new Toy Story Land. It's been a number of years since Disney World's 1971 opening, but some people still refer to the Magic Kingdom, the east coast version of the original Disneyland, as "Disney World" -- as if the one park was pretty much the whole deal. Sure, the Magic Kingdom, with its Cinderella Castle, Dumbo ride, and other icons, is the heart and soul of the Florida resort. But it comprises a mere few dozen acres among WDW's 35,000 acres. That's 47 square miles, roughly the size of two Manhattan islands, filled with four theme parks, two waterparks, 30 resort hotels, six golf courses, two shopping-dining-entertainment complexes and--are you still with me?--enough other diversions to keep tens of thousands of "cast members" (Disney-speak for employees) busy catering to tens of millions of guests annually. Disney World is a phenomenon that has made an indelible mark on travel and tourism and changed the very notion of what it means to take a vacation and be entertained. It can be a wonderful source of pleasure and a great way to gather with friends and family for treasured, shared moments. But it is so enormous that, without proper planning, it can also be a powerful source of frustration and disappointment. Before you proudly proclaim to anyone within shouting distance, "I'm going to Disney World!" take the time to learn all you can about the resort's incredible palette of options so that you can take full advantage of them. Gather your vacation mates for planning meetings well before you leave. Develop a rough itinerary, make restaurant reservations where practical, and do consider some of the other parks and attractions outside the Disney complex. Whatever you do, don't try to do everything. 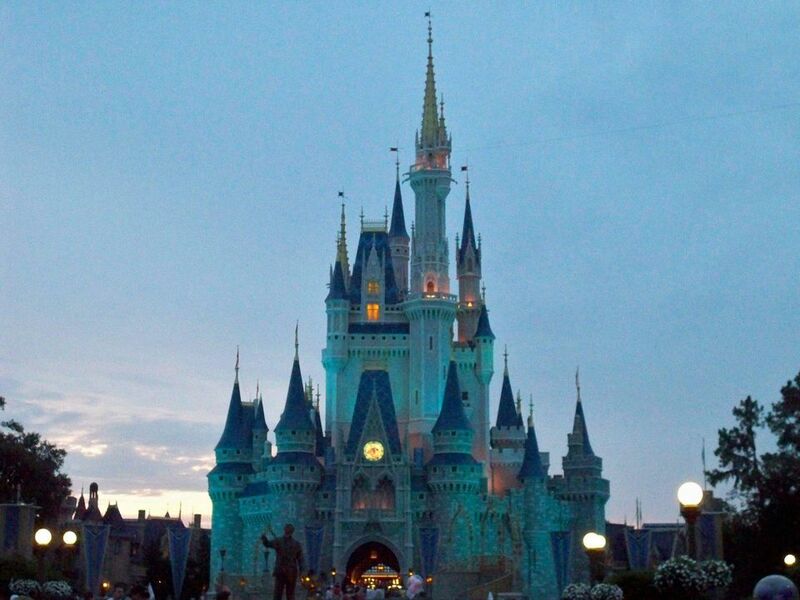 Disney World is much too big now for vacationers to do it all. Save your energy and patience for the parks and attractions you can reasonably accommodate, and save the parks and attractions you miss for your next vacation. After all, half the fun is in the planning and getting to tell people, "I'm going to Disney World!" Learn how to navigate through the different options, save some money, and land the best deal for your vacation. Learn about Disney World's advance planning program, including My Disney Experience, MagicBands, and FastPass+. Discover how to minimize your waits and maximize your fun by taking advantage of Disney's free program. Yes, you read that correctly. It's free. - What is Disney's MyMagic+, FastPass+, and My Disney Experience? Breaking down and defining the different elements of Disney World's trip planning program. - FastPass+ vs. FastPass: What is the Difference? Before you get to Disney World, you'll need to make plans, including hotel reservations. Orlando Theme Park Vacation Deals- Learn about the latest special offers for Disney World and other Florida parks. Forget Fastpass! If you really want the ultimate V.I.P. experience, discover how to bypass all of the standby lines for your next visit to the parks. Mickey's Not-So-Scary Halloween Party- See what Mickey has up his sorcerer's sleeve at the annual fall event. A comprehensive, park-by-park guide for thrill ride-wary guests planning a trip to the resort. Read about Disney's program that offers complimentary ground transportation between Orlando International Airport and its resort to guests staying at its hotels. If you or somebody who will be visiting the parks at Disney World with you is disabled, learn about the accommodations that the resort makes available and how to access them. What is Disney World Free Dining? You can combine a visit to Disney World with a Disney cruise, which docks in Port Canaveral, Florida, about an hour away from the resort. Read my profile of the Disney Fantasy, one of the ships in Disney's fleet. New Fantasyland- Learn more about the major expansion.